Tyrann Mathieu and the Cardinals have a good shot at taking the NFC West again. To go with our 2016 NFL predictions, FiveThirtyEight is previewing each division. Here, we look at the NFC West. 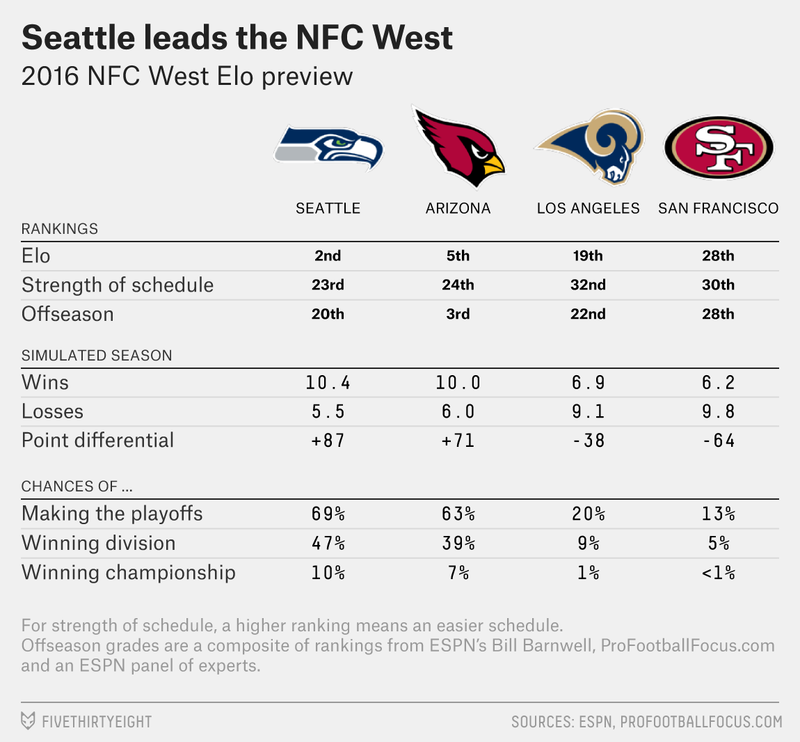 The NFC West was a lesson in humility for prognosticators last season: The team that FiveThirtyEight’s Elo ratings gave a 60 percent probability of winning the division lost to the one they pegged with a measly 17 percent shot. After that shakeup, we have the West race much closer this season. But that doesn’t mean Elo’s long-running love affair with the Seattle Seahawks is over: They’ve flown in at No. 2 overall in our preseason rankings. Seattle’s somewhat disappointing 10-6 record last year obscured that by season’s end, it was the league’s best team once again (at least, according to the advanced metrics). Russell Wilson was the NFL’s third-best QB, running back Thomas Rawls rose from the third string to become the league’s most valuable rusher and, as usual, the defense ranked among the best in football. Dig beneath the surface-level indicators, and it was mostly business as usual for what’s been the NFL’s most efficient team for about four seasons running. This season, though, the Seahawks will have a difficult schedule to overcome — 10th-hardest in the league, per Elo. And an offseason of attrition did little to address the team’s most glaring weakness in 2015: an offensive line that ranked as the league’s third-most-porous against opposing pass-rushers. So it won’t be shocking if Seattle’s advanced-stats dynasty finally starts to show cracks in 2016. Adding to Seattle’s worries: The defending division champions, the Arizona Cardinals, got better over the offseason. They picked up edge-rusher Chandler Jones, who should improve what had been a weak pass rush in 2015, and they signed guard Evan Mathis to bolster what was already one of the NFL’s top offensive lines. The Cardinals’ biggest concern might be that QB Carson Palmer is 36 years old and is coming off his best season in a decade, a feat of passing efficiency — and health — that might not be repeatable. (And we all saw what happened the last time Arizona had to sift through their QB depth chart in a big game.) Even so, Elo thinks the Cards have a good chance of punching a return ticket to the playoffs, whether by repeating as division champs or grabbing a wild-card berth. It’s unlikely that either of the other members of the NFC West will leapfrog the Seahawks or Cardinals in the standings. The strongest of the two challengers are the Los Angeles Rams, freshly (re-)minted as such after burning their bridges out of St. Louis during the offseason. The potential for improvement is there: The Rams had the league’s youngest roster a season ago — headlined by electrifying rookie RB Todd Gurley. But LA’s roster is also riddled with holes, notably at quarterback. (No. 1 overall draft pick Jared Goff struggled in the preseason and will reportedly start the season third on the team’s depth chart.) Add in what Elo considers the NFL’s most difficult schedule — thanks, NFL International Series! 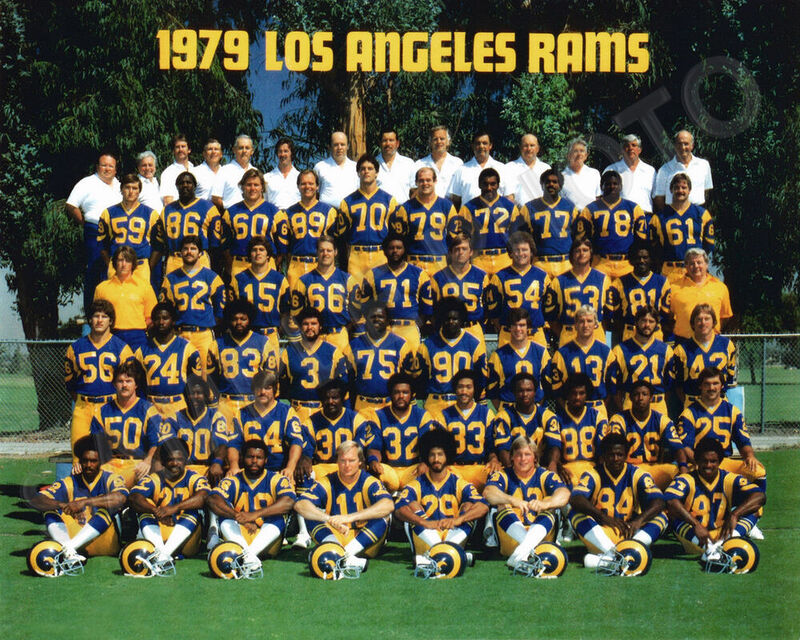 — and the Rams might have trouble making a big Hollywood debut this season. Finally, what do we make of the San Francisco 49ers? On the positive side, new coach Chip Kelly might be able to jump-start San Francisco’s moribund offense the same way he did during his first year in Philly. (Just don’t ask what happened in Years 2 and 3 …) And the team’s young defensive corps might be able to build on last year’s late-season improvement. But the 49ers are up against a brutal schedule — the third-toughest in football — and they didn’t add much else to a roster that finished last season fifth-to-last in Elo. (Also of note: Opening-day starting QB Blaine Gabbert was the worst passer in the NFL over the past five seasons.) Although anything is possible in the NFL, it’s tough to envision San Francisco rising to the top of this division. All told, the battle for first place between Seattle and Arizona should, once again, be the one to watch in the NFC. And with the Minnesota Vikings’ hopes of making the NFC playoffs out of the North damaged by Teddy Bridgewater’s injury, it’s likely that the West’s runner-up will secure a wild-card nod as its consolation prize.